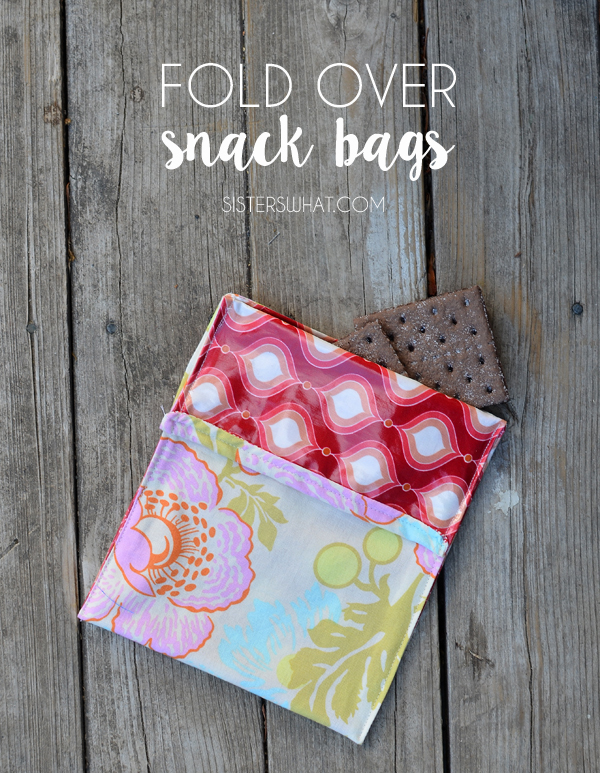 ' Fold Over Snack Bags || Tutorial - Sisters, What! 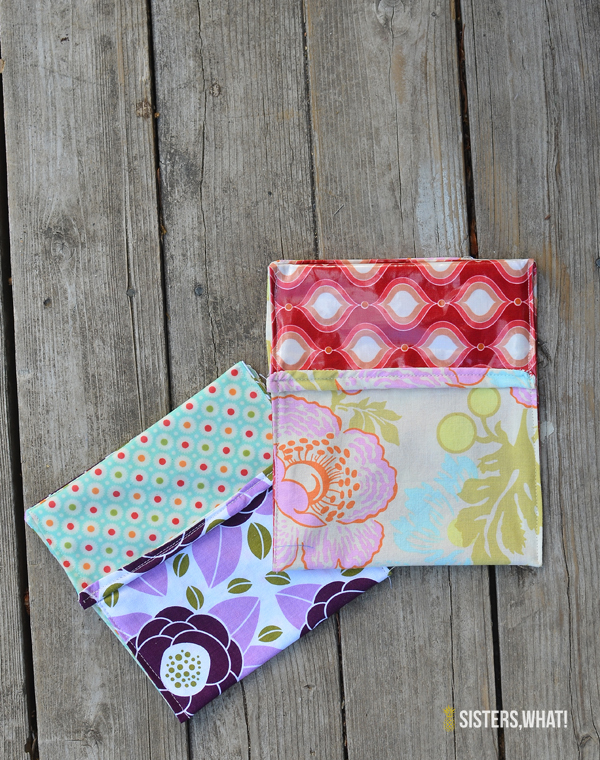 One of my favorite sewing projects to date are my reusable snack bags. I use them all the time and use half the amount of plastic bags. My kiddos love them and I love that I don't have to throw them away after using. 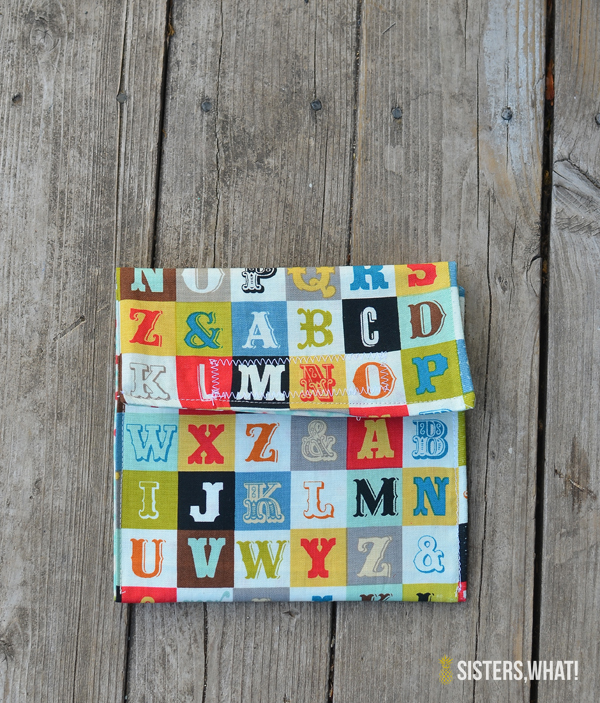 Plus, you can use your favorite fabric and make it super fun and chic! We have even used these at church, however, sometimes I feel a little guilty when I hear the sound of opening velcro. 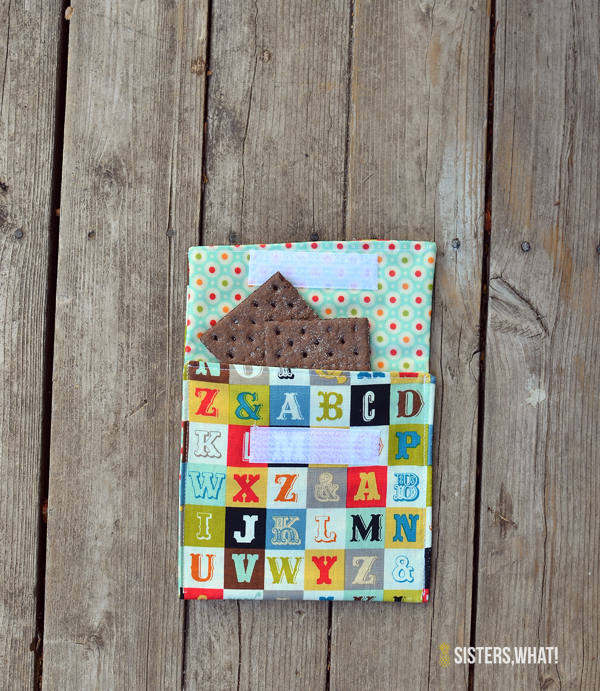 So I decided to try out making some fold over snack bags. You know, like the plastic fold over ones. Exactly like those, but way cuter! 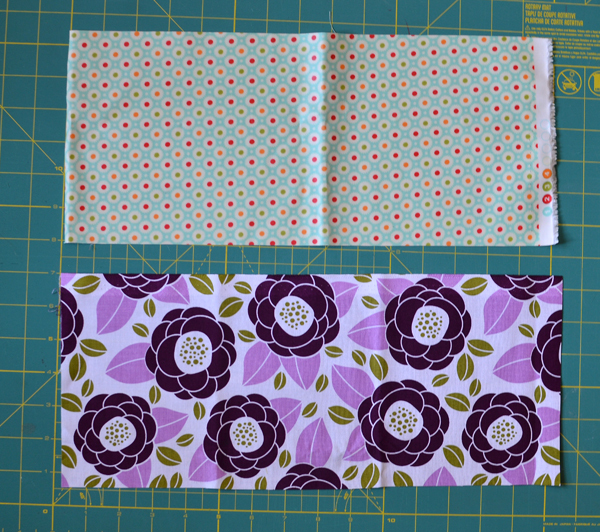 But I also did a fold over one with velcro, I couldn't resist. 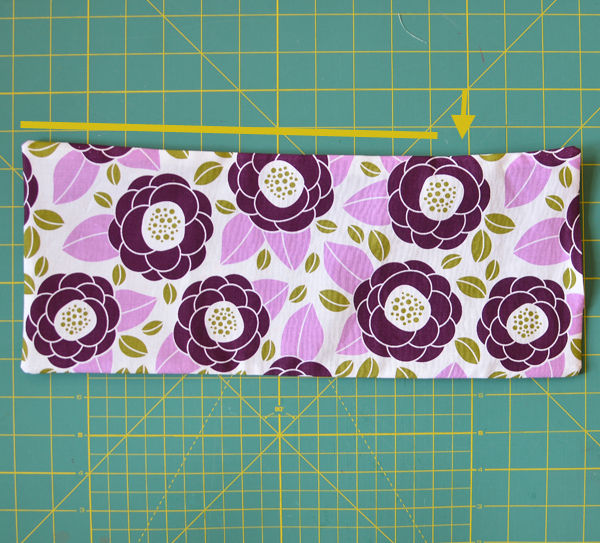 With right sides together of both fabric pieces, sew around the whole thing leaving a 4 inch gap on one side. Iron flat. Now here where it might seem tricky. 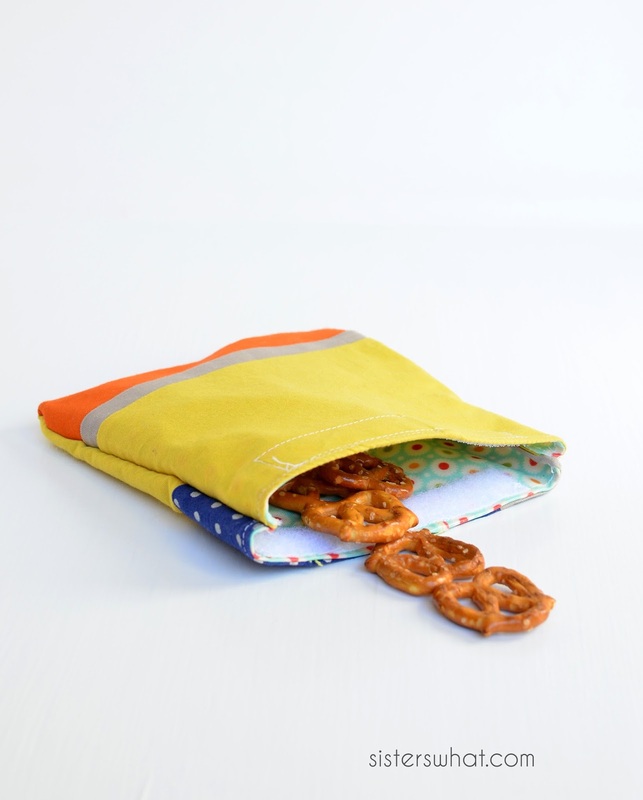 With the water proof fabric touching, fold one end up to the point about 3 inches from the top. Then fold the other end 3 inches down on top of that. 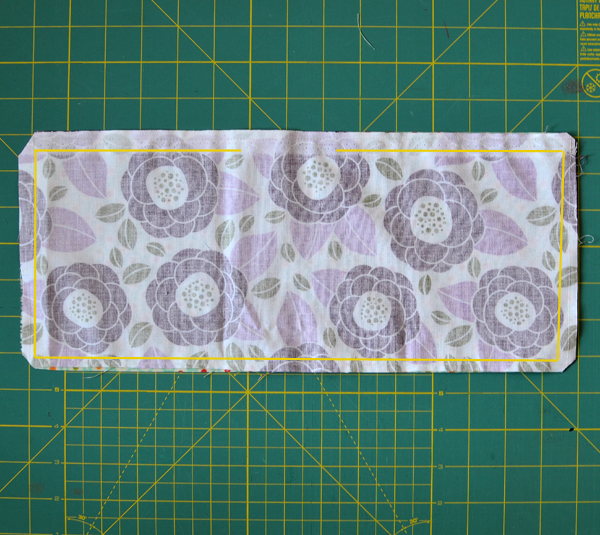 Then sew both sides together. I hope that makes sense. It's kind of hard one to show, just look at the picture and it will make sense. Let me know if you have any questions. Happy Snack Bag Making!